Trust me, this is the taco recipe of champions. 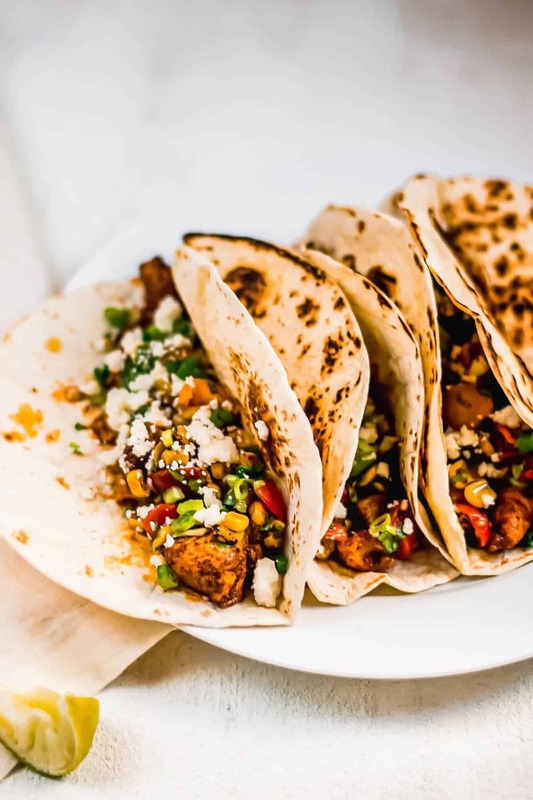 Cilantro Lime Chicken Tacos feature marinated spiced chicken pieces, a fresh corn and tomato salsa, plus the zing of queso fresco. Flavor explosion you’ll never see coming! 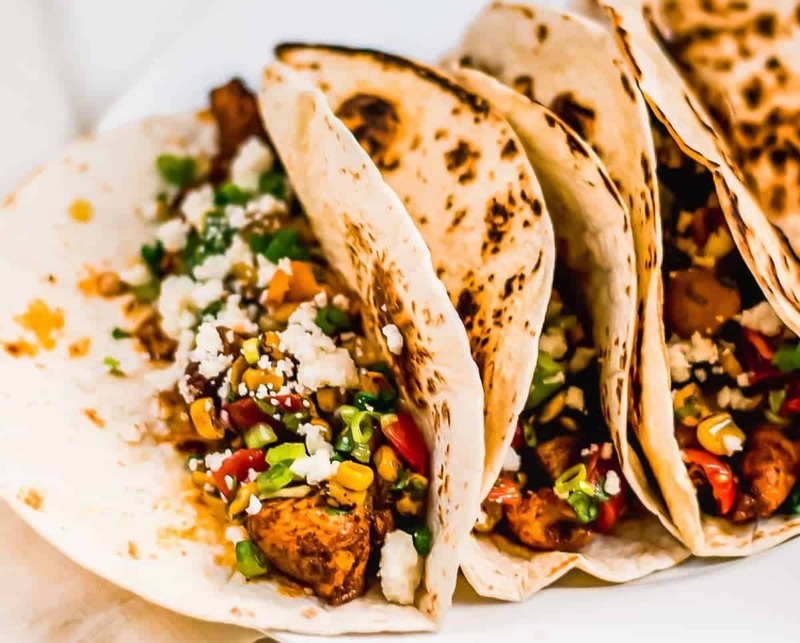 This Marinated Tacos recipe will re-write everything you thought you knew about tacos. Who needs ground beef, sour cream, and salsa from a jar? 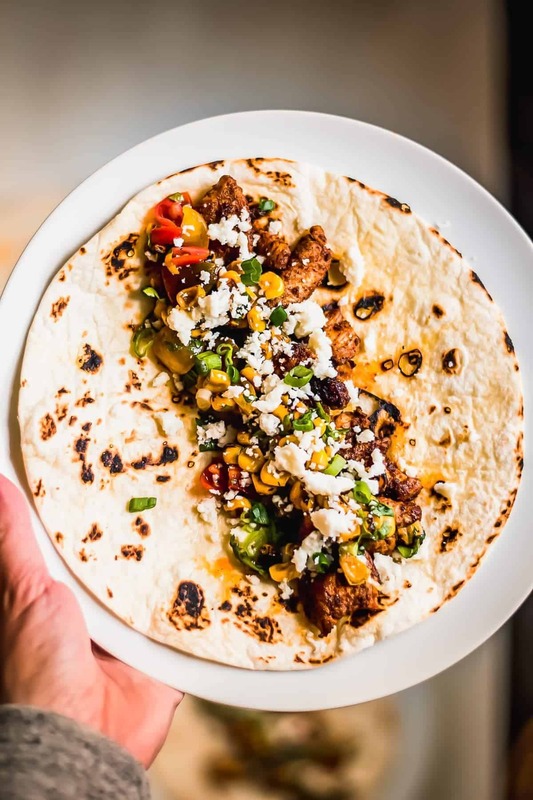 This fun-loving spin on the taco you know and love will have you considering turning every meal into taco format. 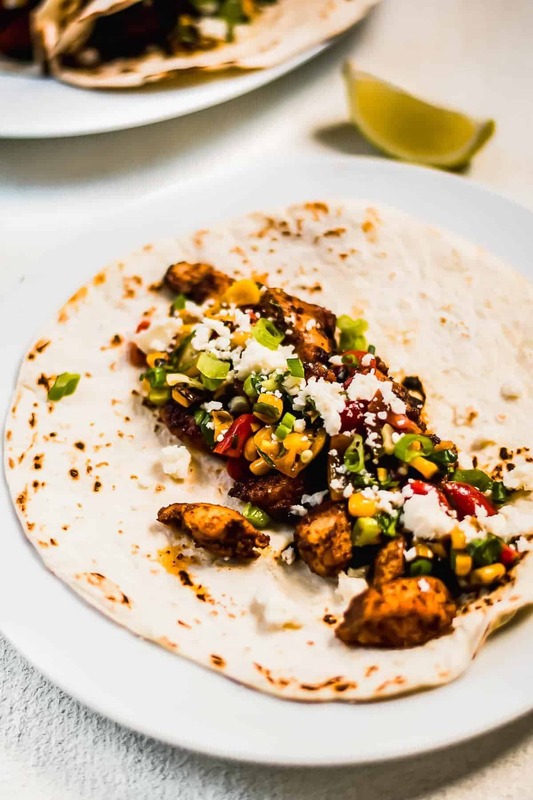 If you’re in the mood for an amazing Traditional Mexican Taco Recipe, these Cilantro Lime Chicken Tacos are for you. 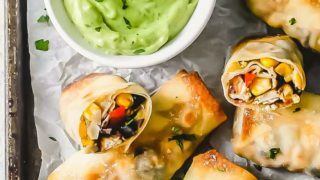 Bright flavors and easy prep make these tacos perfect for game day, appetizers, lunch, or even a delicious dinner recipe for the entire family. Tortilla: Both the foundation and the glue, the tortilla holds all the other elements together and makes it possible to get all the delicious components together in one bite. Meat: Many traditional tacos are made with ground beef, cubed chicken breast is a healthy and inexpensive alternative. 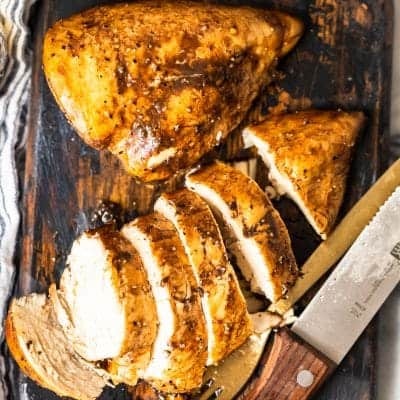 A powerful marinade penetrates the chicken and gives it loads of flavor. 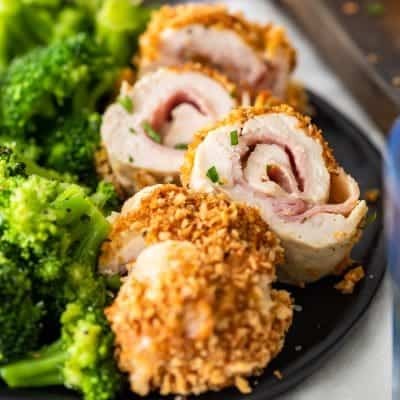 By searing the pieces on the stovetop, they get a nice crispy outer crust that gives both a crunch factor as well as a smoky flavor. 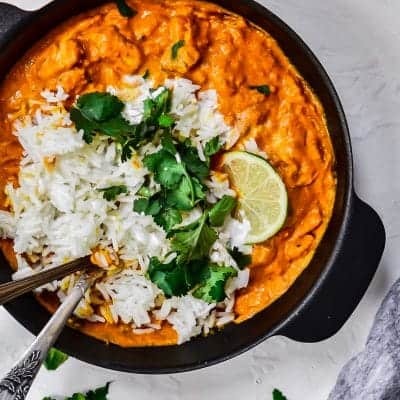 Salsa: A quick salsa with roasted corn, tomatoes, cilantro mixed with white wine vinegar and lime juice makes a fresh topping that gives great texture and a burst of flavor. Cheese: Bring the necessary balance to smoky meat and zesty salsa. Queso fresco has a salty, tangy flavor but still brings a creaminess when combined with the other taco components. Toppings: For added brightness and flavor, the green tops of the scallions are the last remaining layer to chicken and corn tacos. 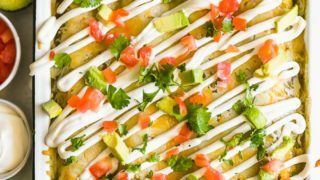 Looking for more Easy Mexican Recipes to try? 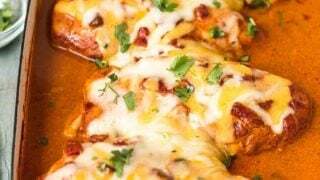 These Tex Mex Chicken Favorites are sure to please! You simply combine all the ingredients and allow the chicken to marinate in the fridge for 3 hours before making your tacos. SO WORTH IT, trust me! 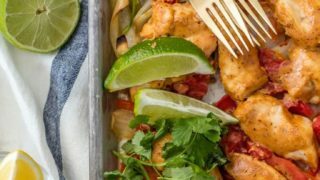 I hope we have sold you on these amazing Cilantro Lime Chicken tacos. 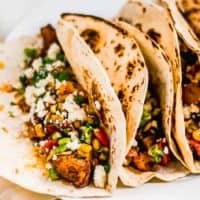 Marinated Chicken makes for the ULTIMATE Mexican Chicken Tacos, and I hope you give them a try! 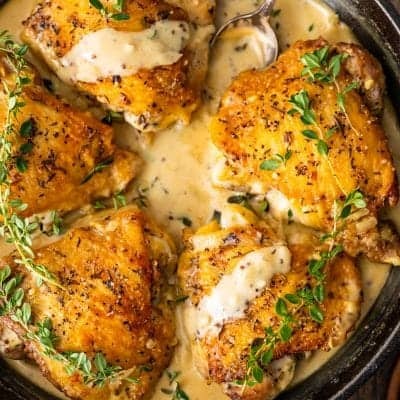 Still looking for more easy chicken recipes? Here are some faves! Add all marinade ingredients to a large resealable bag. Add chicken breast pieces, close tightly, and shake vigorously to coat. Refrigerate 3 hours or up to overnight. Preheat a large skillet over medium-high heat. Add marinated chicken and cook, stirring, until pieces are fully cooked and crispy, about 10 minutes. In a small bowl, whisk together olive oil, white wine vinegar, lime juice, and sugar. Add corn, tomato, white parts of scallions, and corn. Heat a skillet over high heat and add tortillas one at a time. Cook about 1 minute until charred in spots, flip. Repeat with remaining tortillas. 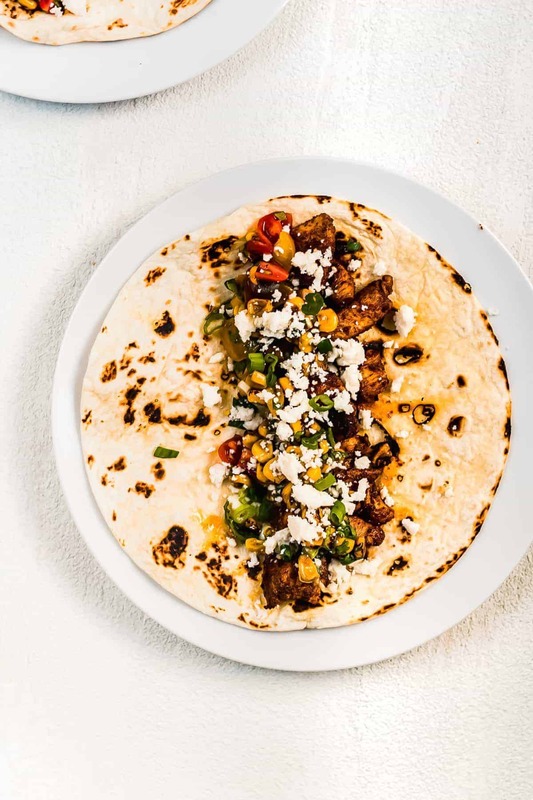 Assemble tacos by placing a tortilla on a place and topping with chicken, corn salsa, queso fresco, and remaining green parts of scallions. Serve with a lime wedge. 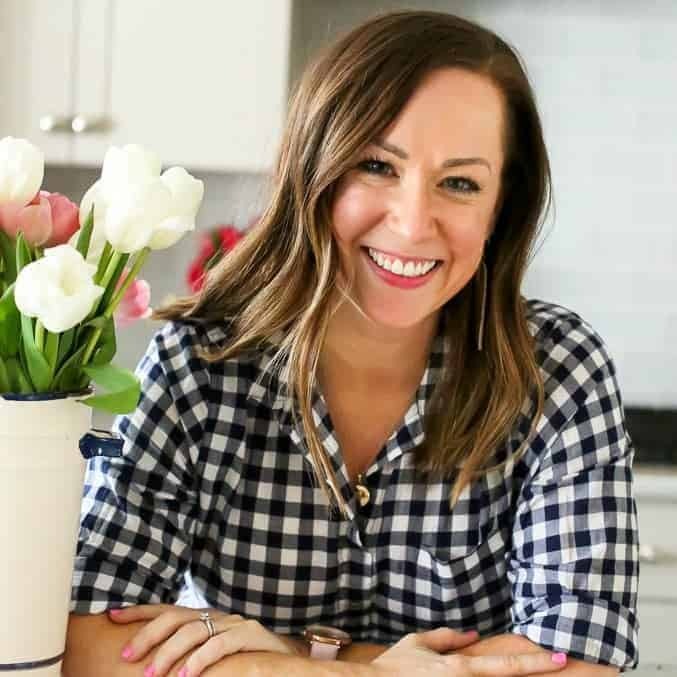 This recipe was contributed from Sarah at Salt Jar. Thanks Sarah! Had these for dinner last night. WOW. So tasty! These are amazing!!! Love them so much! What a fabulous marinade!! These chicken tacos are terrific! Can’t get enough of these tacos! They taste incredible. Can’t wait to try these! My family always loves taco nights. I know, its my fave. I’m going to make these once a week at this rate! Can’t get enough of them. 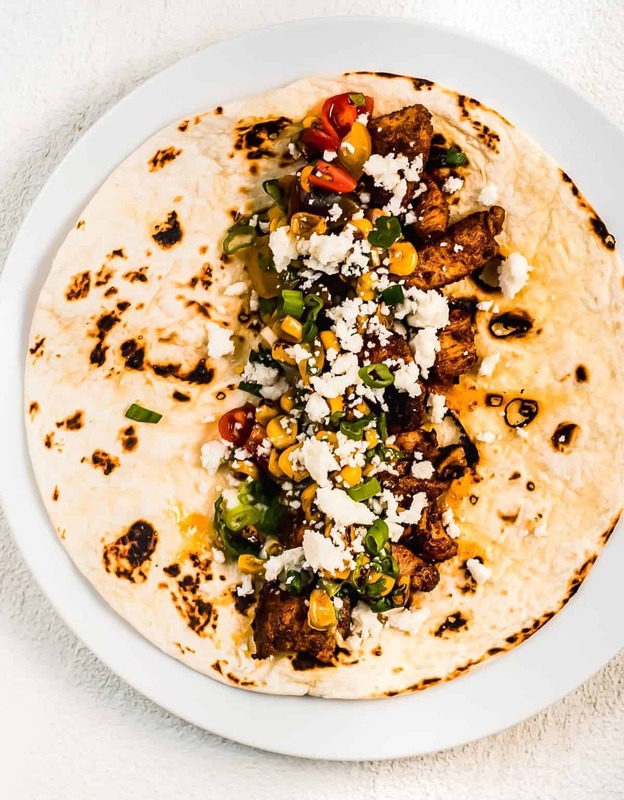 The chicken in this taco is spectacular!